Full of magic, tongue in cheek humour, a happily ever after and a flying horse and carriage. Panto season is in full swing. 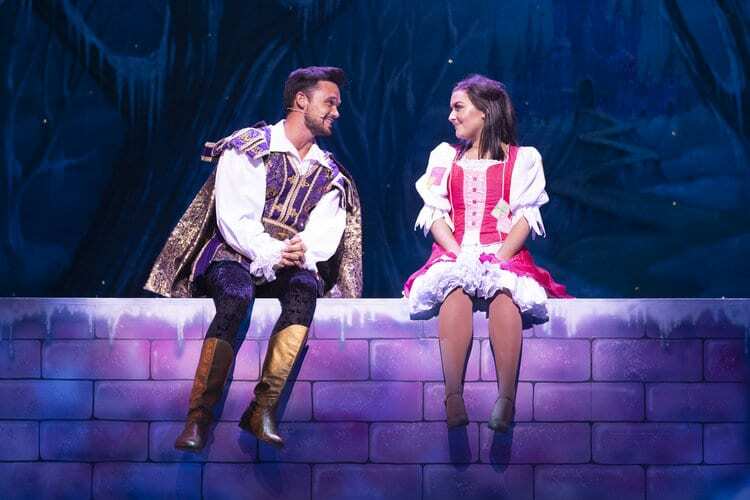 Cinderella, Opera House Manchester is a sure fire hit with audiences young and old. Corronation street stars, Les Dennis and Connor McIntyre lead the self deprecating, cheeky humour. Several jokes aimed at their characters from the cobbles and each other keep their on stage presence enjoyable. But for those who don’t watch Corronation street, there is plenty to keep them entertained. Les and Connor have fun with their roles, the ugly sisters. They are lighthearted throughout their performance. However they regularly trip each other up, adding in their own lines and unexpected antics. Maintainaing the family fun, they do not disappoint as Phelina and Michaela. Their outfits are spectacular and they even come on stage dressed as a can of larger and a packet of crisps at one point. They interact with other characters well too. Buttons being one of their main victims of their punchlines. Buttons has a lot more to him that expected. Played by the multitalented Ben Nickless, Buttons is the standout character in the panto. Singing, dancing, celebrity impressions, jokes galore, and sometimes all at the same time. Button’s is endearing, the little ones will love him right from the beginning of the show. Parents will also love him. He has lots of jokes that work well for children and adults. He regularly steals the show, even without speaking. Ben’s wide ranging talents are showcased brilliantly throughout the perfomance. Ben Nickless’ talents are so wide ranging it begs the question as to when he is going to perform his own show.He is arguably the most memorable member of the cast. “Oh yes he is”. His impressions of Elvis and ALL of Take That, plus his cheeky jokes, are worth the ticket price on their own. Buttons has character depth and Ben makes sure we see all sides to buttons. A touch of Christmas magic. Shannon Flynn Plays Cinderella beautifully. Subtle side looks, playing up the jokes and stifled laughter add to her endearing stage presence. However, despite the play’s title suggesting the show is all about Cinderella, Shannon doesn’t over power anyone else on the stage. She fits in well, she draws audience attention but doesn’t steal the stage. Her outfits are as fabulous as you would expect. Showstoppingly instating her character at one point in the show with an onstage outfit change. It is so well done that you’re left with mouths open, gasps of disbelief. Leaving young and old believing in magic. Garath Gates plays the wonderful Prince Charming. He is subjected to and delivers a lot of Pop Idol based jokes, showing that he has a good sense of humour. Game for a laugh, Gareth embraced the sillyness of the pantomime. He even performed one of his well known hits ‘Unchained Melody’. Much to the audience’s delight. 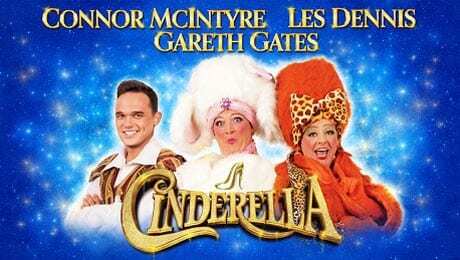 Cinderella at the Opera House Theatre Manchester. The Full Monty - Performance Review.